If you won the state lottery, or inherited a fortune, what would you do with all that money? We all like to daydream about being fabulously rich, but few of us ever face the real-life privileges and responsibilities which great wealth brings. Three people who did -- Alfred I. duPont; his wife, Jessie; and her brother, Ed Ball -- had their fates and fortunes interlaced with the founding of The Nemours Foundation and its three operating institutions: Alfred I. duPont Institute, Nemours Health Clinic, and Nemours Children's Clinic. In places, the personal story of our founders rivals a television drama like "Dallas" or "Falcon Crest"; in places, it's a business success story to rival Lee Iacocca's. In other places, their tale carries the same elements as an Agatha Christie mystery or a spy thriller. You, as an employee of the Nemours Foundation, play a part in this story too. Remember the song "Down By The Old Mill Stream"? Picture such an old mill in your mind. Climbing ivy covers thick stone walls. The water wheel revolves pushed by the flowing millrace. Ducks float in the pond below the wheel. That's the way a mill looks today, but when any water-powered mill was built originally, it was build as a factory. Some mills ground corn into flour. Some mills cut lumber. The water wheels churned for industry. In 1864, the year Alfred Irenee DuPont was born, the mill his family owned was already nearly 70 years old. Once ashore, family members stole their first meal in America from the table of a local family which was away at church; but while hunger compelled them that day, they were not thieves. They immediately set to work at various trades. By 1802, E.I. DuPont had established his mill on Brandywine Creek near Willmington, Delaware. The DuPont mills were constructed a little different from the kind of old mills you might see on a Christmas card. Only three sides of the DuPont mill were stone; the side with the water wheel, the side closest to the creek, was built of wood. You see, the mills of the E.I. 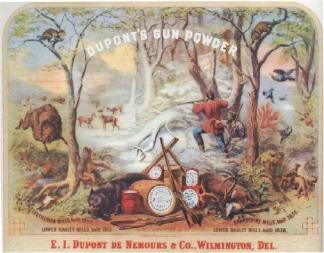 DuPont de Nemours Co. ground up charcoal, saltpeter and sulphur to make gun powder. For safety, the wooden side of the building would blow out if the powder accidentally exploded. Theoretically at least, the wood wall acted as a safety valve so whole building would not collapse on the men working inside. Of course, if you happened to be on the wrong side of the building when she blew, you "went across the creek". That expression -- going across the creek -- became the powder worker's euphemism for death. The DuPont mill was the first powder plant to be built in the United States; before that, all gun powder was imported from Europe. America needed gun powder. Pioneer families still used muskets to hunt deer in the wilderness for food. Powder broke the rock for roadways through the mountains. Powder blasted out the cellars for homes. And for national defense, the Army and Navy demanded gun powder to fight the British in the War of 1812. The DuPont family business expanded and prospered. The family grew in numbers with brothers and uncles and cousins and in-laws taking jobs with the powder company and building homes near the mills. Leadership of the company passed from generation to generation through interlocking relationships of family partnership. 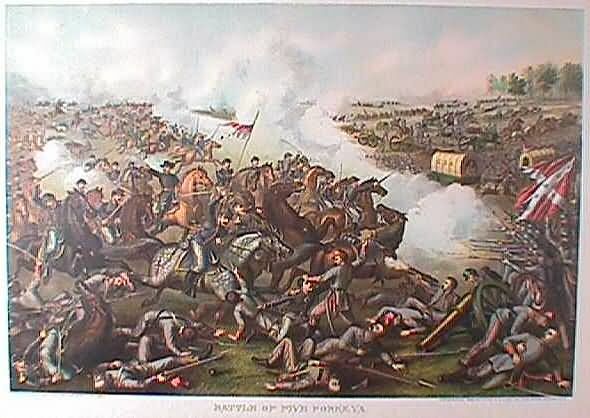 The Civil War, which started 60 years after the mill was first founded, escalated the demand for gun powder; the DuPont mills supplied the Union with over 4,000,000 pounds. "On the threshold of the 20th Century, E.I. du Pont, de Nemours and Co. reigned over a vast explosives empire, the precise boundaries and composition of which were unknown to many of its own officials," said one Du Pont scholar 2. Alfred I. duPont was born on May 12, 1864, the year before the Civil War ended. 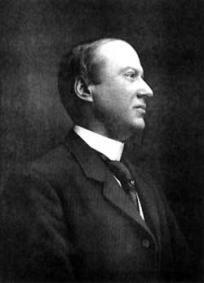 He was one of the five children of Eleuthere Irenee and Charlotte (Henderson) duPont. While swimming in the Brandywine as a child, Alfred almost drowned, an accident that left him nearly deaf the rest of his life. Both of his parents died of tuberculosis within a few days of each other when Alfred was 13 years old. Although he stood to inherit some money from the estate, the boy felt responsible for providing for his brothers and sisters. Among his first jobs was digging a grave to bury a farmer's dead cow. Young Alfred earned 25 cents for the job. For a time, he attended Massachusetts Institute of Technology, a course of study which whetted his life-long appetite for engineering and inventions; but, at age 20, he decided that work in the family mill was more important than finishing school. At the time, the millworks stretched for over three miles up and down Brandywine Creek. Numerous waterwheels powered various manufacturing operations and mule teams pulled cart loads of materials from plant to plant for processing and mixing. For instance, willow was the best wood for the charcoal needed, and carts brought it into the wood yard’s kilns for roasting. Alfred drove a mule team. Other workmen noticed that he would stop and pick up willow logs which had bounced out of other carts to make sure none was lost to the company. He also loaded kegs of powder for shipping from the magazine, lifting the 50-pound kegs to make up 3,000 pound loads. 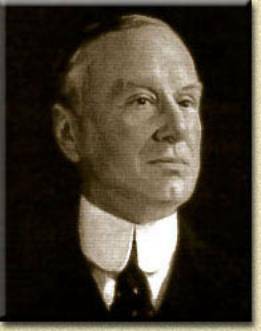 Alfred I. DuPont earned $83 a month 3 working for the family company. On several occasions, he saw first hand what happened when men went "across the creek". One explosion embedded a man's bones in a tree on the other side of the Brandywine; they had to saw out a section of tree trunk to get the body parts for burial 4. Powder men didn't want stray dogs hanging around the mill; "Don't want no hound's bones mixed up in my basket when I go across the creek," one said. On December 9, 1898, two mule-drawn carts sideswiped each other on a bridge in the mill yard. The jolt knocked a sack of explosive off one cart. When it hit the ground, everything blew. "A column of flame and smoke belched out for 200 feet... Like firecrackers on a string, up went the press room and the six rolling mills below, spewing their contents against the opposite bank of the creek," said one witness 5. Tons of powder were stored in the glazing mill where finished gunpowder was processed; because of the extreme danger, it was located some distance from the other mills. Sparks from other burning buildings landed on the wooden roof setting it on fire. Alfred DuPont rushed to the roof to beat out the flames with his coat. Two workmen joined him in the battle, racing against flame and time to prevent a really major explosion. "Mr. Alfred," one workman shouted, "Get down. This is no place for you." "What do you figure to do, Deery?" shouted DuPont, "Push me off the roof?" The three saved the glazing room and many lives by their action. Five men had been killed in the initial explosion; some bodies were found 600 feet across the creek. But for the efforts of Alfred and the men he led into action, it could have been much worse. As Alfred DuPont rose to become supervisor of the powder mill, his hands-on experience gave him an affinity for working people, a concern for charity, and an expertise in powder making. "Mr. DuPont developed a number of machines and processes that revolutionized the manufacture of powder," said a New York Times article. "To him has been attributed the development of prismatic powder, the basis of all high explosives used by the United States Government for heavy artillery 6". His inventions included a new type of powder press, called a graining mill, regarded as the safest ever made; no record exists of one ever blowing up 7. "The various machines... I developed prior to 1915 are in the main satisfactory and 100 per cent safer that were the machines when I found them," DuPont said years later. "There is great opportunity for inventive genius and individual initiative in an industry such as high explosives," he said. "With the stimulus which independence of thought and action engenders, it is a case of matching your own brain power and thought against the field 8," he said. His hands-on experience with the technical aspects of powder making lead to his brief career as a spy. In January, 1889, U.S. Navy Intelligence had learned that the French invented brown powder and smokeless powder; both kinds were superior to the black powder U.S. ordnance used. Two and a half grams of smokeless powder would put a bullet through a target which five grams of black powder could only dent. Besides, smokeless powder did not reveal gun positions to an enemy. 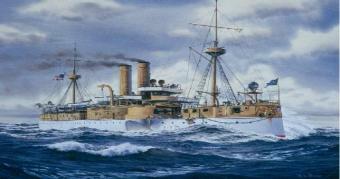 And the U.S. had an enemy; the Spanish American War was on the horizon and we needed the superior munitions. His mission proved successful; he came home with both patents and trade secrets; but the company's top management were reluctant to change production methods. Of course, both the government and the Du Pont Company formed committees to make a study of Alfred's findings. They took the position that brown powder was only slightly better than their own and that smokeless powder was only an experimental fad. Company officials regarded Alfred as a young up-start, mechanically competent perhaps, but not a decision maker, not really management material. They gave him a pay raise but no greater authority. They kept him in his place. In that place, Alfred kept abreast of the technological improvements in the field and on his own began to produce small amounts of brown powder in the mill; but for years, both government and company delayed acting on the information he had obtained overseas. 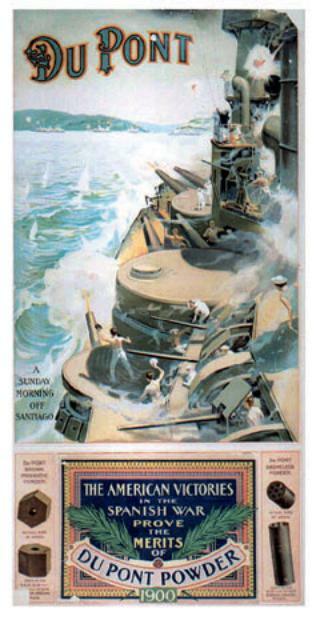 Thus on February 15, 1898, when the battleship Maine was blown up in Havana Harbor with a loss of 260 American lives, the government was short of modern powder! The Navy came to the DuPont Company. The company came to Alfred. In the crisis, they gave him a free hand to act. "The Government asked for 20,000 pounds of powder a day," said historian Marquis James. "The brown-powder capacity of the Brandywine yards was 3,000. Alfred promised to run this up to 20,000 within sixty days. No one thought he could do it." He and his workers practically moved into the factory, eating and sleeping on sacks of powder. They worked night and day at a feverish pace. "In four months time he had delivered 2,200,000 pounds of powder and had increased the capacity of his plant nearly nine fold," James said. "He had spent 40 hours at a stretch in the yards. He had evoked from his men a loyalty that drove them to deeds beyond their strength." He created an environment which fired up his employees to do their very best. Once his eight-year-old daughter brought him lunch at the factory and stayed to eat with him on the steps of the rolling mill. A plant visitor complained that was too dangerous a place for the child. "Not awfully dangerous, no," Alfred said, "And besides, my men work here." The mills throbbed with activity. Production quotas were met and surpassed by workers motivated by Alfred I. duPont. Company management, his own relatives, recognized his accomplishment --but grudgingly. "He had felt the buoying force of the ambition that fires a slighted subordinate who means to show his superiors that he can do what they think no man can," James said. "But without ability of the highest order, Alfred duPont could not have done what he did regardless of long hours, co-operative help, or impulse to vindication," he said. Slights? Vindication? Why were these negatives so important? What did those things have to do with Alfred I. duPont and the powder business. Here, the mixture in Alfred I. duPont's business live and private life comes out. Now this gets a little sticky, so follow closely. A newspaper headline called this set of incidents, "THE WAR OF THE DUPONT WOMEN “10. Alfred's younger brother Louis loved Bessie Gardner. Louis introduced her to Alfred. Bessie married Alfred; Louis blew his brains out. "His family made gunpowder; he decided to use a few grains of it to stop, forever, the emptiness of his life and the torments of his heart," said historian Max Duke 11. This scandalized female relatives in the vast family dynasty; they disapproved strongly of Alfred and Bessie. Now, Alfred and Bessie had four children, but Alfred, a rascal years before becoming a philanthropist, had a roving eye and took a fancy to a Judge's daughter, Alicia Bradford. Alfred paid his male secretary, George Maddox, to marry Alicia, and bought the couple a home near his own. "He decided that after George and Alicia were married, his secretary (George) would make an excellent traveling inspector for duPont. It would keep him on the road," Duke said. Meanwhile, back at the peaceful old powder mill, Alfred and two of his cousins bought the company. Although many family members gained income from an interest in the company, the trio owned the majority of the shares and ran it. "In 1902, Mr. A.I. DuPont took over management of the E.I. duPont de Nemours Co. of Delaware. During the following 10 years, in which he reorganized and consolidated its extensive interests, the company's assets increased from $15 million to $82 million. "All machinery used in the company's manufacture of black powder was designed by him and the development of prismatic powder... is entirely the result of his ingenuity," said a Florida Times-Union article 12. While his business did well, his own family didn't. Alicia Maddox had a baby that to the band of irate and scandalized female relatives looked suspiciously like a DuPont. Also, about that same time, Uncle Fred got shot. When Alfred's parents had died, Uncle Fred had become Alfred's guardian. He had raised Alfred and his brothers and sisters. Uncle Fred was a life-long bachelor. Uncle Fred was almost 80 when he was shot to death by a woman in a "sporting" house” 13. "He was unquestionably a fine old man," the newspaper account said. Newspaper boys sold copies of that issue for $5 each. Like father, like son -- or words to that effect -- the righteous ladies said, predicting a bad end for Alfred. To escape a bad situation at home, Alfred went on a hunting trip to Virginia where he meet Jessie Ball (who comes in the story again later). There, a hunting buddy accidentally blasted him in the face with a shotgun costing him an eye. Bessie, still his wife, moved out of his house while he was in the hospital recovering. When Alfred left the hospital, he established residency in South Dakota where he divorced Bessie. George Maddox filed suit against Alfred for his behavior with George's wife, Alicia, citing alienation of affection. Out of court, to avoid more scandal, Alfred paid George a million dollars to divorce Alicia secretly and go to Europe. Alfred married then Alicia -- but postponed their honeymoon because a DuPont plant in Fontanet, Indiana, exploded on the day of their wedding killing 27 workers! The newly-weds traveled to Indiana to see that the injured and the families of the dead were cared for and Alfred, disgusted with its abysmal safety record, ordered the plant site abandoned. On the couple's return to Delaware, the DuPont ladies saw to it that the "proper" DuPont relatives refused to receive the new bride. Alfred and Alicia retaliated by building a lavish new mansion, named Nemours, with a nine-foot wall topped with broken glass. He said the wall was to keep nosey relations out. "They are all good women -- in the worst sense of the word," he said 14. The offended relatives made their own move. That means he was fired from the DuPont Company. As the New York Times reported, "After his second marriage there was an estrangement among the branches of the duPont family which eventually resulted in Alfred I. duPont being ousted as a director and vice president of the powder company, and in a $58,000,000 suit for control of the DuPont Powder Company, which was decided against Alfred I. duPont and his friends. The Jacksonville Journal summarized, "After he severed relations with the duPont de Nemours co. in 1916, he continued to hold large interest in its underlying organizations. 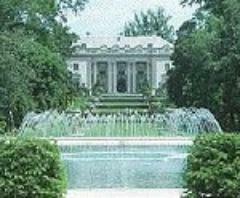 He was president and principal owner of the Nemours Trading Corporation, which was demolished in 1920. He was one of the incorporators of the duPont Securities Co., a $250,000,000 corporation which was organized in 1919. And for several years, he held controlling interest in the Delaware Trust Co. of Wilmington 16." Services Monday at the M.E. Church. Perhaps it's just as well that he never had to earn a living writing poetry. But in other areas, Alfred I. DuPont was a rich and successful man. "I presume that the time comes in the life of every man when he asks himself, 'Have I made a success of life, or has it been a failure?' In order to answer that question he must have clearly defined in his mind what in his opinion indicates success in life. Historian Marquis James said, "The government issued a blanket warrant of distrait against all property of the debtor, Alfred I. duPont. This included Mr. duPont's un-pledged securities, if any, his home, his automobiles, his watch -- everything he owned, short of household furniture to the value of $300 18." He wrote his sister, "I shall have to pay $2,000,000 more, not a pleasant prospect with the obligations I have already to bear 19." How did he take this adversity? "After all I've said about wealth being a mere trust in the hands of those who possess it, I'd be a poor sport of a man not to be able to part from mine a little in advance of normal expectations and begin over again without recriminations against others or bitterness of heart," he said 20. DuPont often viewed his wealth as something held in trust for those less fortunate. For instance, years later, when speaking about the plight of the elderly, he said, "Most of them have done their work in the world just as faithfully and just as well as you and I have done ours. That they have not saved enough money to see them through their declining years is nothing against them. We all owe these old people a debt, and we should meet it”21. Another time he said, "In my opinion the solution of the problem of industrial discontent, if so it can be termed, lies in the proper distribution of wealth between capital and labor in years to come, based on some economic principle which will be satisfactory, and which can be defended on the grounds of science and fairness. There can be no other possible solution... Each laboring man will become a capitalist to a certain extent," he said 22. He really felt strongly about wealth being a trust. "Nothing that is artificial can last... I have always espoused the cause of a much wider distribution of national wealth, and the use of gibbet and halter on men of wealth, who, by virtue of their basic acquisitions and by the power vested in their possessions, only build toward their own aggrandizement... The handling of all funds of others should be based on the acceptance of such funds as a sacred trust and any thought of any violation of this principle should not be tolerated," he said 23." And again he said, "The trouble is that we all have too much prosperity to stand adversity gracefully. I think most of us will be much better off in every way when we have fought this situation to the finish 24." Of course, he didn't feel as though he had too much prosperity while the IRS was after him. He felt distinctly poor then, but the way that worked out enriched him with more than money. For Christmas that year, he mailed his daughter a check for $111 with a note saying, "Sorry, but I am not giving any expensive Christmas presents this year... Do not permit anyone to send me anything but a Christmas card. That is all that is needed to bring love and affection” 25. During this time of tax trouble, people who had worked for him back when he was managing the powder mill, flocked to offer him the help of a few dollars out of their own pockets. One old widow living on a $300 a year pension offered to help him out because he'd been kind to her husband when he was injured. He carried the esteem of his friends like jewels. Although he solved the tax problem through creative dealing with the government through a battle all the way to the Supreme Court, this situation does reveal how his charities followed him through life. DuPont was a complex man. Yes, he did buy mansions and motorcars, jewels and yachts, gardens and gadgets. But throughout his life, he also championed the poor, the weak, the elderly and the sick. He championed them with his care and with his wallet. "My philosophy of life is exceedingly simple," he said, "Be fair to everyone, do as much good as you can; be honest with yourself, which means, honest with everybody... If one would keep one's head above the water, one must struggle and use such weapons as our Creator has provided 26". As a young man, out of his own pocket, he took care of the families of workmen injured in the powder mill. One recalled, "It came so that in times of trouble there was a saying in our house, 'Send for the priest and Mr. Alfred.'" When he was in the hospital after being shot in the eye, he secretly ordered a Thanksgiving feast for the other patients. "Gentlemen, I understand that Mary Buchanan is indebted to you for rent in the amount of $17.00. I am enclosing check for this amount and will ask you to credit the same to her account “27. Mrs. Buchanan was an elderly widow. To aid the country during World War I, duPont paid $85,000 for the nation's first submarine chaser, The Petrel, and gave it to the government. 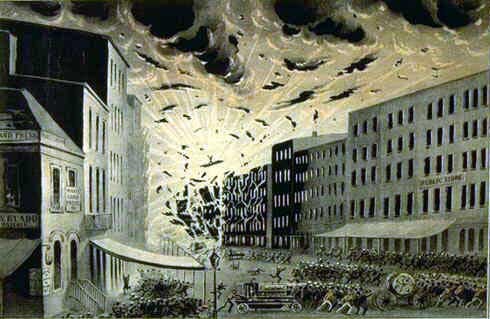 Once in New York, while walking with his third wife, Jessie, duPont saw a shabby young woman dressed in mourning clothes pushing a baby carriage down the street. Pretending to admire the child, he dropped $500 in the carriage. "That's for the squab," he said walking away. When a friend fussed at him for giving money to a tramp saying "He'll only get drunk on that," DuPont replied, "Suppose he does; the poor ... doesn't get much fun out of life." A New York Times article said, "Mr. duPont's interests lay beyond the munitions industry... In 1918 he purchased the Grand Central Place... for the advancement of international commerce through trade expositions. "Mr. duPont was revealed as the sponsor of a private movement to pension the aged poor of Delaware. Through his generosity 1,100 aged persons of his state received monthly allowances. In a telegram to the Delaware Legislature..., Mr. duPont urged, 'the stern necessity for providing funds looking to the employment of those in Delaware who are in direct need," the newspaper said 28. 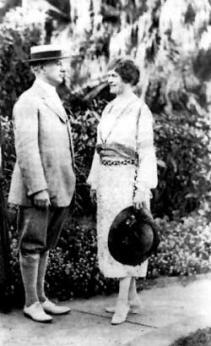 In 1921, Alicia DuPont had died; a year later, Alfred married Jessie Dew Ball, who was 20 years younger than he. This move changed the direction of his business life and his charities. For one thing, the couple moved to Jacksonville, Florida. For another, Alfred gained the friendship and business acumen of Ed Ball, Jessie's brother. That came about through the tomato machine. You see, Alfred I. duPont loved gadgets. All during his life, he constantly invested in other people's inventions, invented things himself, changed the designs of equipment he bought, or made improvements to existing mechanical things. In other words, he tinkered. Once, while visiting a friend's office, he noticed that the clock was not running. "That's too good a timepiece to use as an ornament," he said. The multimillionaire took it down from the wall and repaired it with his pocket knife. During his early days at the mill, he installed water-powered fans; later he introduced electric lights and power to the mill. His own home, the Nemours Mansion near Wilmington, was among the first private homes in the United States to have electric lights; he did the wiring and installed the generator himself. 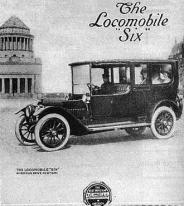 He bought one of the first automobiles, a Locomobile, and learned to take it apart and put it back together -- with improvements. He designed one of the first electric powdered boats. He invented a new style water pump, a bath sponge, an improved lock, and a train for the powder mill. Because of the swimming accident in his youth, he was deaf most of his life; he improved the design of the hearing aid he had to use. And no list of duPont's accomplishments is complete without his crowning invention -- an electric rat trap! Now, in order for tomatoes to be canned, they have to be peeled. The idea of a mechanical tomato peeling machine captured duPont's fancy. He invented one and hired his brother-in-law, Ed Ball, to set up and manage the Clean Foods Co. of Laurel, Del., a canning plant. In 1921, Ball was earning $20,000 a year as a furniture salesman, a fancy salary for that day; duPont offered him $5,000 to run the plant. About taking the salary cut to go to work for duPont, Ball later said, "I figured it was a good deal at the time; I figured there might be a future in it 29." The tomato machine's design worked too well; Ball said, "The machine is a perfectly splendid invention. Thirty six of them will peel all the tomatoes that are being canned in the entire country. The only trouble is, it would be impossible to get the tomatoes to the machines before they spoil! 30"
DuPont gave up the project. But the duPont-Ball association prospered beyond what either of them could have imagined. "DuPont left a blueprint and Ball followed it; when there was no blueprint, Ball created his own 31." DuPont vision and Ball drive swept Florida. 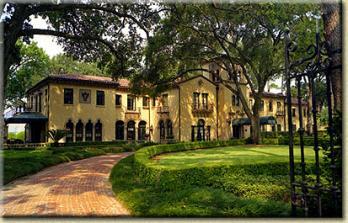 They came to Florida in 1926; in nine years, duPont became the state's richest man and largest land owner. ""Two important conditions fired him on," said Florida Trend magazine. "First, he was irked at his cousins in the big powder company in Wilmington, Delaware, where he had resigned active participation, and (he was) anxious to run his own show. 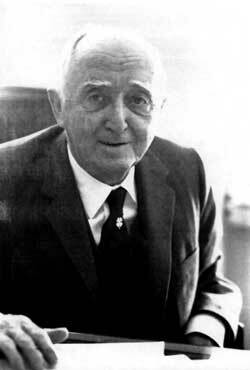 Secondly, he would have a chance to put some of his social reform theories to work 32." 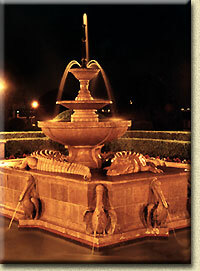 DuPont saw Florida as a place to demonstrate the wise use of money. "We are now in Florida to live and work.," duPont said. "We expect to spend the balance of our days here. We have all the money necessary for any reasonable effort to help Florida grow and prosper. He did both: he helped the state and he just about doubled his money. He earned more money by buying the Florida East Coast Railway, real estate and banks. He helped out-of-work people find jobs during the Great Depression. Each day, his foreman sent out a fleet of trucks to pick men up off street corners and put them to work beautifying parks. "Those of us who have been so fortunate as to acquire considerable property should always be willing to come forward and assist in putting over public improvements in times like these, so as to promote the general welfare. We cannot consider ourselves or our property alone," duPont said 34. He helped by saving bank depositors' money when many banks closed during the Great Depression. Ball said their motto was "Look after the interest of the depositors first 35". Du Pont kept his own money flowing between banks in his chain so there was always enough cash on hand to satisfy depositors. This stopped runs on duPont banks. Thus, duPont saved Florida banking in the Great Crash of 1929. "This was probably his greatest single contribution to Florida during his lifetime," said Florida Trend 36. He changed the face of the state's economy by demonstrating -- through the founding of the St. Joe Paper Co. -- the value of the pine tree which was widely regarded as useless scrub. DuPont and Ball bought vast acreage of pine forest for use in paper making. When they found that newsprint had a limited market, they turned to producing cardboard for packaging. Essentially, this set the value of Florida real estate. While Mr. and Mrs. duPont were building their home, Epping Forest, in Jacksonville, Mr. Ball, under their direction, was criss-crossing the state, managing banks, buying real estate, building roads, giving people jobs, acting as the duPonts' steward. DuPont said, "If I had a man like Ed Ball to manage my affairs from the beginning, I would have been very rich! 37"
Ball lived frugally in a Jacksonville hotel room and often ate lunch at the corner drug store. "Ball displayed a genius for linking St. Joe Paper's welfare with the public interest. For instance, when a group of Catholics on St. James Island collected $3,000 for a new church and asked St. Joe to sell them nearly 15 acres for a site, Ball offered instead to sell them three acres for the $3,000 and let them have the additional acres as an outright gift. The churchgoers were elated, yet Ball benefited far more than they. By establishing a market price of $1,000 per acre on the land, the deal gave the company a tax deduction of $11,760 -- sheltering not only profits on the sale of the three acres but a portion of St. Joe's operating earnings as well." That was the Jacksonville Journal headline on April 29, 1935: "Alfred I. duPont, organizing genius of the famous Delaware family who packed into 70 years the varied careers of chemist, inventor, captain of industry, politician and philanthropist, died early today of a heart attack. Death came at Epping Forest, the St. Johns River estate he built..."
"There is probably no citizen of Florida who has left such a mark on the political, financial and economic life of this State." The newspaper estimated his property was valued at $100,000,000 and that taxes would get 68 per cent of the fortune. Mr. duPont's will provided a long list of legacies, bequests and lifetime annuities for members of his family, close associates, friends and employees. The balance of his estate -- estimated to be between $23 and $33 million after taxes -- set up the Nemours Foundation to care for the elderly and for hurt children who could be cured. The Nemours Foundation supports Nemours Children's Clinic, the Alfred I. du Pont Institute, and Nemours Health Clinic. "It has been my firm conviction throughout life that it is the duty of everyone in the world to do what is within his power to alleviate human suffering," duPont said in his will. "It is therefore natural that I should desire, after having made provision for the immediate members of my family and others whom I have seen fit to remember, that the remaining portion of my estate should be utilized for charitable needs 43". Jessie Ball duPont and Ed Ball were named as principal trustees to carry on A.I. duPont's charitable work. Jessie Dew Ball met Alfred when she was a teenager. He often hunted on her family's property in Virginia. Twenty years younger than he, she had taught school during his previous marriages and career. They married in 1921 and were together for 13 years. To a great extent, she encouraged his existing bent toward charitable endeavors. She was also an accomplished businesswoman in her own right. 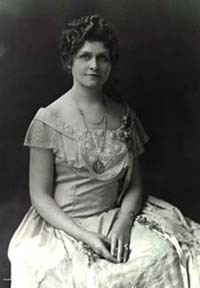 Mrs duPont became a director of the Florida National Bank, chairperson of the board of the St. Joe paper Co., president of the Nemours Foundation, and vice president of the Alfred I. duPont Foundation and of the Virginia Museum of Fine Arts. She declined honorary titles and appointments which may have been offered because of her name and wealth. She kept daily office in the Barnett Bank Building in Jacksonville, Florida; she didn't get to work till 10 a.m., but skipped lunch to make up for the time. "I don't believe in gypping the office," she said 45. Her favorite stories about her husband involved the time a real estate salesman didn't recognize the couple's name and refused to waste his time by showing beachfront property to the duPonts. Another time, Alfred thought $25 a night was an exorbitant price to pay for a room in an exclusive hotel called The Monks Cells. "Monks they may be, but they won't make a monkey out of me," he said. The duPonts saved themselves hotel expense by spending that night aboard their yacht. In 1951, Florida governor Fuller Warren appointed her as the first woman to serve on the Florida Board of Control, later named the State board of Regents, the overall governing body for the state's colleges and universities. "Florida is fortunate that one of America's outstanding women will serve on one of the state's most important governing bodies... she possesses great gifts of mind and heart which splendidly equip her (for) the cause of higher education. I consider it a privilege to appoint so distinguished a woman to so important a post of public service," the governor said. "In selecting Mrs. duPont, the governor chose a woman as well known for her practical knowledge of education at all levels as for her generous financial contributions to charitable causes of all types," said Times-Union political editor Herbert Bayer 46. She usually made her charitable contributions anonymously because she shuned publicity. "Do good, for good is good to do," she said. She funded thousands of scholarships for college students, most of whom never knew where the money for their education came from. But on occasion, she made a point of visiting her students to see how they were doing. She even sent food baskets to her boys who went into the service during World War II and followed their careers for years after their student days. King George VI awarded her a citation for her help in the war effort; and Queen Elizabeth presented her with the Maltese Cross naming her as a Sister of the Most Venerable Order of the Hospital of St. John of Jerusalem. Only three Americans have ever been so honored but Jessie duPont really cared about more important things. "The gratification of wealth is not found in the mere possession or lavish expenditures but in its wise application," she said. She was a religious person who read the Scripture daily. "Only through the practice of Christianity can this nation continue great," she said 47. Her brother was not quite so religious; he spoke of "having to meet Old Whiskers when I cross the creek." Nevertheless, his trusteeship of Nemours Foundation money resulted in great benefit to thousands of needy children. For 39 years, in his roll as controlling trustee, Ball nurtured the Alfred I. duPont Estate to a net worth of close to $2 billion. Compounded annually, that represents growth at better than 9.7 per cent interest every year he was in charge! 48. "What has been done by Mr. duPont and his Estate is the very backbone of America," he said. "The sound business practices, the personal and corporate integrity, the enterprising spirit, and the charitable and humanitarian goals exemplified by Mr. du Pont and his Estate are the cornerstone on which this nation was built. It is the cornerstone on which this nation has prospered, and the cornerstone on which this nation will grow and advance in the future. 49"
Ball was known for his polite manners -- he always stood in the presence of a woman, always addressed men as Mr., and always showed great respect for the elderly. "Deal openly and fairly with your fellow man. Treat them courteously and expect to be treated courteously in return," he said 50. He was not known for politeness when it came to business. "We are living in an age where achievement is not to be rewarded and fault is not to be punished. This surely is leading us into mediocrity," he complained 51. Peeved, he once had an artist paint pictures of famous pirates on the ceiling of a bank. "I thought it would be appropriate," he said. Ball always answered his own phone when possible instead of relying on his secretary. "You never know who's calling -- it could be Santa Claus," he said 52. He drank a good deal of bourbon every day and proposed a daily toast for his friends, "Confusion to the enemy"! This toast so characterized Ball that two different biographers, Mason and Griffith, both use it in the titles of their books. The enemy, of course, meant anyone opposing him. When asked about an opponent's death, he said, "I know he went across the creek, and I suspect where he is, but I don't care to comment." The Florida Eastcoast Railway lost $4.8 million the year before Ball took it over. Ball bought its default bonds for 7.5 cents on the dollar; the very next year, the railroad showed a profit. He brought in new people, abolished old work rules, restructured pay rates to eliminate feather-bedding, untangled and reduced FEC debts, installed automatic crossing gates, initiated new safety procedures, improved rolling stock, upgraded equipment, and built a spur to serve NASA's space program at Cape Kennedy. He also got into a bitter union fight which lasted 12 years, the longest strike in American railroading. There were over 300 incidents of violence during the strike including 82 trains dynamited. Enemies noted his tough stance in pursuit of what he thought was right. For instance, in 1933, Mr. Ball married. His marriage only lasted until 1934 but the bitter divorce proceedings -- filled with claims and counter claims -- lasted another 10 years! On another occasion, he carried on a three-year running battle royal with the Calhoun County tax assessor over a bill for $550; the whole debate hinged on which side of a line a bulldozer was parked! Once at an art auction, seeking a 200-year-old, ornate pair of wrought-iron gates which came from the palace of Russian empress Catherine the Great, Ball bid against a New York lawyer. The auctioneer described the gates for 30 minutes before opening the auction. Ball cast the first bid -- $5! Every time the lawyer would bid, Ball would raise him -- but only by $10. "When the price had gone up to $11,000, I raised him another $10 and he gave up. For $11,010 I bought Katie's gates," Ball boasted. Yes, Ed Ball fought long and hard when he wanted something or believed in something. He made enemies. He often won. "To win any war, you only have to win the last battle," he said. Ball build his first paper mill in the Gulf Coast town of St. Joe. He saw St. Joe's quadruple in size to become one of the largest paper mills in the United States. Because he grew so many million acres of pine trees for the paper mills, on his passport he listed his occupation as "tree farmer." He worked hard and made money while viewing himself as a steward of that money for crippled children. "No child in need will ever be refused medical treatment -- whatever the cost, however long it may take -- because the family cannot afford to pay," he said 53. On his death in 1981, Ball left virtually all of his personal fortune to the Nemours Foundation. The Florida Times-Union estimated it to be over $73 million. "Ball's gift to Nemours differs from duPont's only in specifying the money be used to help crippled children in Florida," the newspaper said. Ball wrote in his will, "Mr. Alfred I. duPont was my friend and benefactor and I can think of no better purpose than leaving what I have accumulated to the Nemours Foundation." Today, The Nemours Foundation is one of the largest privately funded medical foundations in the nation. In Delaware, The Nemours Foundation operates The Alfred I. duPont Institute, a 90-bed pediatric hospital, and the Nemours Health Clinic, a facility for the elderly. In Jacksonville, the Nemours Foundation operates the Nemours Children's Clinic. The Nemours Children's Clinic helped children in over 75,000 patient visits during 1988. Nemours Children's Clinic administrator Barry P. Sales 54 recently announced ground breaking for an 11-story, $30 million outpatient building. It will be located on a site just south of the Fuller Warren Bridge. The new clinic building will offer about 180,000 square feet and will have room for as many as 40 physicians and 200 support personnel; there are presently 24 physicians on the staff. The new building is scheduled for completion by 1991. But the true significance of Nemours Children's Clinic does not lie in big buildings, big numbers and big bucks; it lies in what we do for the little people who come here to help them live big lives. As a little boy, Mike Wilson, now 22, came to the Nemours Children's Clinic for treatment for a clef palate which he felt disfigured him. What does he think of the help Nemours Children's Clinic gave him? "Both the administrative aid and the counseling and the medical aid they gave me has made a big difference in my life -- What can I tell you, I look good now! And I feel great about it. "They do great work with kids today, the best quality work," he said. "As many a child could tell you, it's a great thing they're doing at Nemours." Because -- in part -- of the help he received as a child at Nemours Children's Clinic, Wilson could recently fulfill his boyhood dream -- he is now a Jacksonville fireman -- Strong of Arm, handsome of face, pure of heart, empty of pocket. The main thrust of the Nemours Children's Clinic is to provide excellence in patient care administered in concert with the primary pediatrician 55. To satisfy such a trust demands great responsibility and selflessness from each of us. 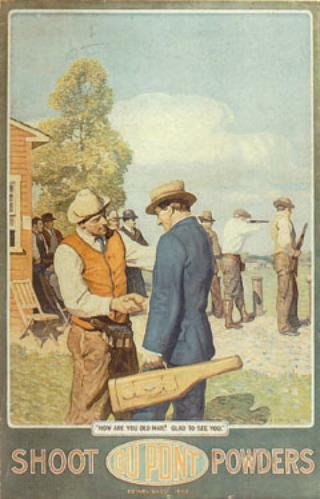 Once, when Alfred I. duPont was asked to lend his name as sponsor of a questionable endeavor, he declined. "An organization built on the name of any one person is on an insecure foundation," he said 56. It will take more than a name -- even the duPont name -- to fulfill our mission: It will also take your own heartfelt dedication and effort. On October 28, 1985, fifty years after Alfred I. duPont died, Forbes 400 magazine printed an interview with Alfred Dent, who is Alfred I. du Pont's grandson. The article, written by Christine Donahue, generated a lot of attention. "Alfred Dent believes his grandfather was killed in 1935 by his third wife, Jessie Ball du Pont, with the knowledge and collusion of her brother, Ed Ball, who went on to become one of the nation's best known businessmen. The motives were old ones -- money and power," the magazine said. 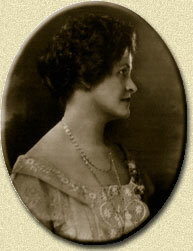 Dent said Jessie poisoned her millionaire husband at Epping Forest to keep him from changing his will. Dent said he had learned this from Ruth Latham Price, Ed Ball's ex-wife. Ball had divorced her in 1943 after discovering she'd had an abortion before their marriage, the magazine said. Ms. Price claimed "Ed and Jessie were unnaturally close, even for a brother and sister, and finally came to believe they murdered husband and benefactor Alfred," the article said 57. At the time the article was published, the elderly Ms. Price was in a nursing home, ill and unable to comment. For 20 years before this accusation was made, Dent was "a dissident trustee on the board of his grandfather's charitable trust." the article says. The tale created a media flurry as columnists analyzed the pros and cons. "DuPont murder tale has all the ingredients of marvelous soap opera," shouted one headline. "This idea is based on the flimsiest of evidence, if it can even be dignified by that term," said a Times-Union editorial 58. "Those who knew the three people best have branded the allegations as rubbish". Congressman Charles Bennett knew each of the trio intimately from their coming to Florida to their deaths. He was one of Alfred duPont's lawyers and helped duPont draft his will. "The duPonts were very happily married and entirely devoted to each other and Ball had a long and enthusiastic mutual friendship with his brother-in-law," Bennett said. "No one who knew Mrs. duPont or Ball would find it conceivable that either of them would commit murder of anyone for any purpose 59." "Regrettably, there is no effective way in which Forbes can apologize to the memory of Mrs. duPont or her able brother," Bennett said. "She was, in fact, one of the most noble and benevolent persons in our country's history." 1. Colby, Gerald. DuPont Dynasty. p. 43. 2. Carr, William. DuPonts of Delaware. p. 210. 3. James, Marquis. Alfred I. duPont. p. 61. 4. James, op. cit. p. 46. 5. James. op. cit. p. 131. 6. New York Times. April 30, 1935. 7. James, ibid p. 102. 8. James, ibid p. 419. 9. James, ibid p. 123ff. 10. Dorion, Max. The duPonts; From Gunpowder to Nylon. p. 160. 11. Duke, Marc. The duPonts; Portrait of a Dynasty. p. 210. 12. Florida Times-Union. April 30, 1935. 13. Carr, op. cit. p. 218 to 221. 14. James, op. cit. p. 203. 15. James, ibid p. 236. 16. Jacksonville Journal, April 29, 1935. 17. James, op. cit. p. 238-239. 18. James, ibid p. 347. 19. James, ibid p. 341. 20. James, ibid p. 339. 21. James, ibid p. 424. 25. James, ibid p. 342. 26. Estate of Alfred I. duPont n.p. 27. James, op. cit. p. 243. 28. New York Times, ibid. 29. Jacksonville Journal, June 24, 1981. 30. Mason, Raymond K., Confusion to the Enemy. p. 33. 31. Mason, ibid p. introduction & p. 156. 32. Florida Trend. June 1958. 33.. Estate of Alfred I. duPont p.2. 35. Jacksonville Chamber of Commerce, unpublished radio script. p.4. 36. Florida Trend, Jund 1958. 37. Mason, op. cit. p. 113. 38. Mason, ibid p. xiv. 39. Jacksonville Chamber of Commerce, unpublished radio script. p. 6. 40. Florida Times-Union. June 25, 1981. 41. Fortune Magazine. December, 1974. p. 174. 42. Florida Times-Union. April 30, 1935. 43. Estate of Alfred I. duPont. p. 9. 44. Suntime Magazine, August 29, 1953. 45. Suntime Magazine, August 29, 1953. 46. Florida Times-Union. August 17, 1951. 47. Dr. Alfred Rives Shands Jr. "Jessie Ball duPont; A Great Southern Lady. Dedication Speech. University of the South, Sewanee, Tenn.
48. Fortune Magazine, December, 1974. 49. Mason, op. cit. p. 64. 50. Jacksonville Chamber of Commerce, unpublished radio script. p. 2. 51. Mason, op. cit. p. 185. 53. Jacksonville Chamber of Commerce, unpublished radio script. p. 9. 54. Cowart, John W. "Nemours Foundation Plans Childrens' Mayo Here". 55. The New Nemours. 1988 pamphlet. 56. James, op. cit. p. 326. 57. Forbes 400. October 28, 1985. 58. Florida Times-Union. November 18, 1985. Carr, William H. THE DUPONTS OF DELAWARE. New York: Dodd, Mead & Co. 1964. Indexed, 368 pages. Colby, Gerard. DUPONT DYNASTY: BEHIND THE NYLON CURTAIN. Secaucus, New Jersey: Lyle Stuart Inc. 1984. Indexed, 968 pages. Creek, Mary Tyler Freeman, JESSIE BALL DUPONT, 1884-1970. Robert E. Lee Memorial Association, Stratford, Va. 1985. Dorian, Max. THE DUPONTS: FROM GUNPOWDER TO NYLON. Boston: Little, Brown & Co. 1961. Indexed, 303 pages. Duke, Marc THE DUPONTS: PORTRAIT OF A FAMILY. New York: Saturday Review Press, E.P. Dutton & Co. 1976. Indexed, 340 pages. ENCYCLOPEDIA AMERICANA: International Edition. Vol 9. 1979. James, Marquis. ALFRED I. DUPONT: THE FAMILY REBEL. New York: Bobbs-Merrill Co. 1941. Indexed, 599 pages. Griffith, Leon Odell. ED BALL: CONFUSION TO THE ENEMY. Tampa, Fla. Trend House. 1975. Indexed, 110 pages. Mason, Raymond K. and Harrison, Virginia. CONFUSION TO THE ENEMY: A BIOGRAPHY OF EDWARD BALL. New York: Dodd, Mead & Co. 1976. Indexed, 203 pages. Indexed. Florida National Bank, "Fifty Years of Community Service" undated. Jacksonville Chamber of Commerce, "Ed Ball Presentation Script". Unpublished radio script for Ed Ball Appreciation Day, November 30, 1979. Linton, Ruth C. "A Heritage of Books: Selections From The Nemours Library" DELAWARE HISTORY. Vol. XXI, No. 3. 1985 Historical Society of Delaware. Wilmington. p. 197. The Estate of Alfred I. du Pont and the Nemours Foundation. Published by the Estate of Alfred I. duPont. Jacksonville, Fla. 1974. 63 pages. The New Nemours. 1988 pamphlet. 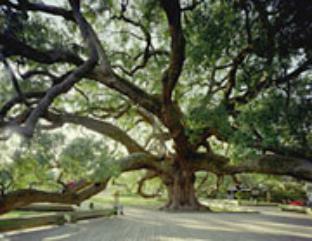 Jacksonville, Fla.
Dr. Alfred Rives Shands Jr. "Jessie Ball duPont; A Great Southern Lady. Dedication Speech. University of the South, Sewanee, Tenn.
Cowart, John W. "Nemours Foundation Plans Childrens' Mayo Here". Jacksonville Magazine, Nov. 1988. Donahue, Christine. "The Death of Alfred I. duPont -- A Postmortem". Forbes 400, October 28, 1985. Loving, Rush. "Ed Ball... Old-Style Money Machine". Fortune, Dec. 1974. Powers, Harris. "Extending a Helping Hand". Suntime, August 29, 1953. Blade, Robert. "DuPont Murder Tale..." Oct. 22, 1985. Brown, Lloyd. "Reporter Recalls Bourbon-Slugging Tycoon". June 25, 1981. Craddock, John. "Ball... Titan of Finance". June 25, 1981. Craddock, John. "Ball's Will to Aid Crippled Children". June 30, 1981. Editorial. "Some people Never Allow The Dead to Rest..." Nov. 18, 1985. Goldman, Ken. "Local Beneficiaries in Mrs. duPont's Will". Oct. 17, 1970. "Mrs. duPont Dies at 86" Sept. 27, 1970. "Death Takes State's Richest Man" April 29, 1935. Portee, Uriah. "duPont Park is Dedicated". Jan. 21, 1972. "Alfred I. duPont dies in Florida". April 29, 1935.